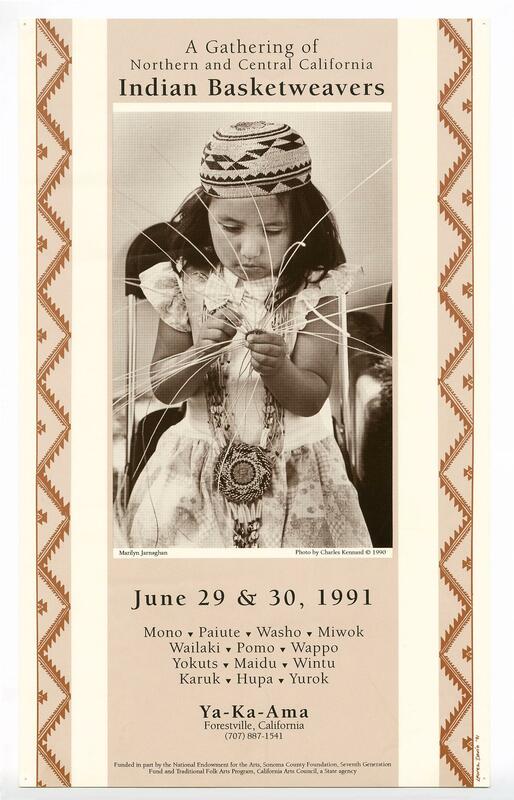 Poster titled "A Gathering of the Northern and Central California Indina Basketweavers; June 29 & 30, 1991" It lists the tribes that took part in the gathering. It was held in Ya-Ka-Ama, Forestville, CA. The photograph in the poster is by Charles Kennard, copyrighted in 1990; the girl in the photo is Marilyn Jarnaghan; she is weaving a basket and she is wearing a head basket and a woven and shell pendant.